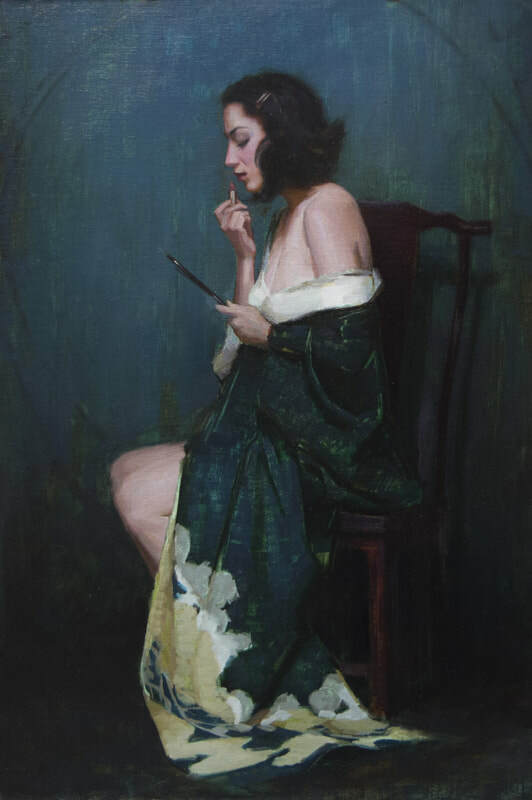 Native Californian Aaron Westerberg grew up in San Diego. It was a class in traditional life drawing that drew him to continue his art training. 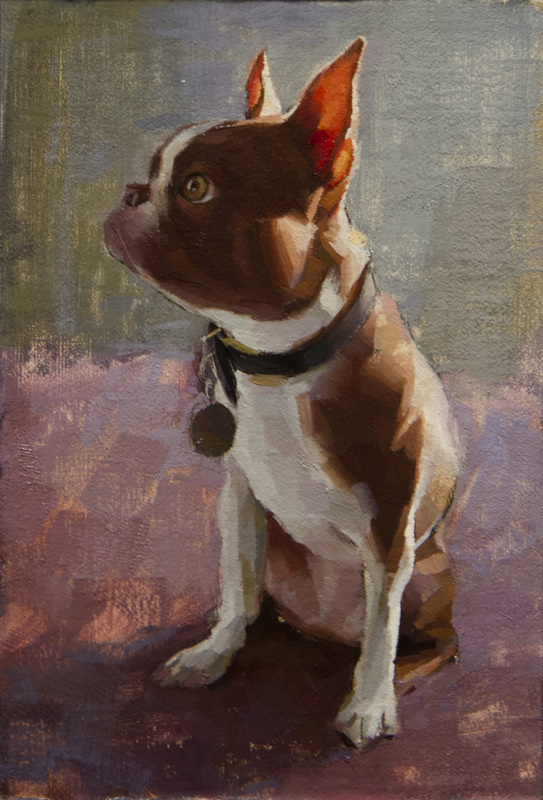 He is classically trained and has studied with Jeff Watts as well as attended the California Art Institute. Westerberg went on to teach at the California Art Institute, and expanded his focus to include the works of nineteenth century American and European Masters. Aaron feels a strong connection to these great painters of form and light. In his paintings, he strives for elegance and timelessness while striking a balance between classic techniques and contemporary subject matter. His work is highly sought after in both traditional and modern collections. With the winning combination of strong realist figure drawing skills and inventive strokes showing texture in the clothing well as in his renown backgrounds, Westerberg's works have become iconic. Aaron's work has been celebrated and highlighted in many national and international publications including Fine Art Connoisseur, Artist’s Magazine and American Art Collector, and has been exhibited in fine art galleries throughout the United States. Aaron is a Signature member of the California Art Club. We are very proud to support his successful art career and offer his works here in Laguna Beach. This excellent work is part of the Paris Seminar and Realism Without Borders Exhibitions and appeared in the Interview on the Paris Seminar in Modern Luxury Magazine on VRFA. Was part of the Americans in Paris 2018 May Exhibitions. "Harmony in Rose and Purple"